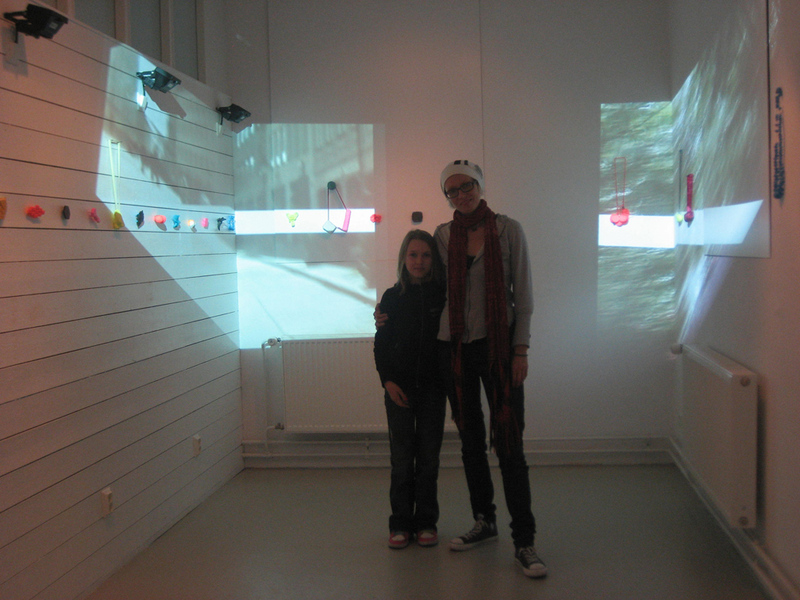 Here is image of my last exhibition “Lollipops in the woods-Bites from everyday” in galleria Rantapaja in Lappeenranta, Finland. First time I was collaborationg video int the presentation of my work. I am very exaited about this. Somehow activates the jewellery as it still is not on the body.